Please obtain this packet from the Parish Secretary. This is for first-time parents. The parents can attend the class before Baby is born. 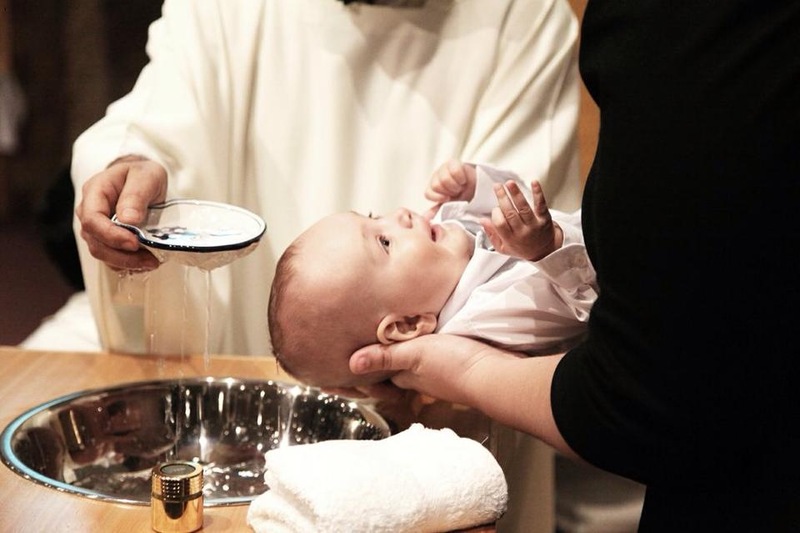 Baptismal preparation classes will be offered on the first Thursday of each month. If married, must be married in the Catholic Church, regularly attending Mass on Sunday, and living their Faith. The two godparents do not have to be married to one another. A baptized non-Catholic may not be a godparent, but may serve as a witness along with a Catholic godparent. Non-baptized persons may not serve as witnesses or godparents. If the godparent(s) attend a different parish, he or she must have the active parishioner form filled out by his or her priest. Please return to the parish office. Please note: Baptisms are usually not scheduled during Advent or Lent. If your child already goes to school and wishes to be baptized, we will do the Baptismal preparation as part of their regular Religious Education. If you are an adult and are contemplating baptism in the Catholic Church, we ask that you participate in a preparation program called the Rite of Christian Initiation of Adults (RCIA). *If the godparent(s) or sponsor attends a different parish, he or she must have the active parishioner form filled out by his or her priest. Please return completed forms to the parish office.